Mustafa Shakir is Superhero Jacked. And we want to know how. We’ve seen tons of Marvel Netflix Original stars, and we’re diving into another one today. Did you ask who we’ve seen thus far? Good, because I wanted to share. We just recently saw Rachael Taylor, but we had already seen Charlie Cox, Mike Colter (Luke Cage), Krysten Ritter, Jon Bernthal, Finn Jones, Elodie Yung, Jessica Henwick, Simone Missick and Rosario Dawson. Mustafa Shakir is right around average height for celebs we’ve seen at SHJ. The shorter range is guys like Mark Wahlberg, Zac Efron, Kit Harington, Tom Holland and more. The average height falls in the range of 6’1-6’3 with celebs like Chris Pratt, Chris Hemsworth, Hugh Jackman, Chris Evans, Adam Driver, Stephen Amell, Clive Standen and so many more. Mustafa Shakir is a vegan. I get that out of the way right away because almost every single article about Shakir’s regime is based around that fact. Shakir follows a completely Vegan diet — “I’m very strict,” he said. 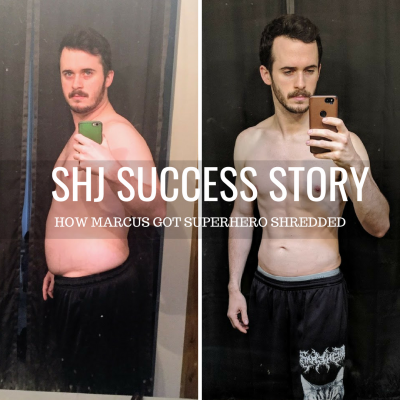 His diet primarily consists of whole fruits and vegetables, raw foods, beans, and nuts; on top of it all, he’s also cut out alcohol and caffeine. Which they continue on with a fun fact that I’m dying to share. You guys have to know why I wanted to share this. All the celebrities we see incorporate little things in their diets that allow them to sustain their transformations. That’s why our Academy Nutrition Classes (Vikings, Samurais, Spartans, Hunter Gatherers, Greek Gods, Minimalists, Monks) revolve around sustainability and finding the regime that works best for YOU. How different was your diet before prepping for the show? Not that different, man. If I’m just chilling and I’m in L.A., I’ll go to Greenleaf for some chicken and pancakes—not real chicken, obviously—but that’s about as far as I’ll go. Most people maintain diets because they’re trying to get some physical effect, and it’s not that for me. It’s about spiritual attunement. It’s to feel good. So a “cheat day” for me is just cheating myself. I don’t really like sugar—if I have it, I get these spikes in my blood pressure and my mood, and that’s not fun for me. And if I have heavy, greasy stuff, it has a depressive effect on my body. Cheat days are having an extra shot of wheatgrass. I know it sounds crazy, but I’m grateful, because I understand how food has affected my body. So with that information, I can have my hand on the steering wheel more firmly. But yeah, I’m beyond cupcakes. 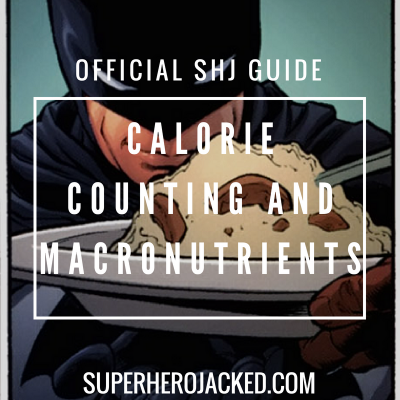 We know guys like Hugh Jackman and Terry Crews utilize intermittent fasting, and I myself like to use that as a tool around my nutrition pillars as well. But, that being said, it’s okay to try different things and find what is best for your lifestyle. Mustafa Shakir also stepped it up on his workout routine. Which is true on an emotional level, but he certainly looks like he’s carved from stone. Shakir ramped up his already-intense training from daily to two-a-day workouts to prepare to enter the Marvel Universe. 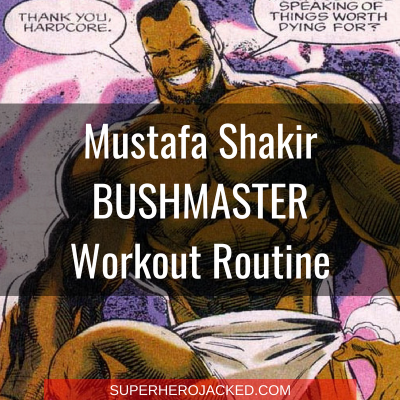 For leanness, he incorporated hot yoga to his schedule; for Bushmaster’s martial arts mastery, Shakir endured formal Capoeira training. I’m sure Coach Derek loves that. But there’s a lot more information out there for us, so get ready. In the interview with GQ Shakir gives us a ton. GQ: To start off, what was your workout routine before Luke Cage? 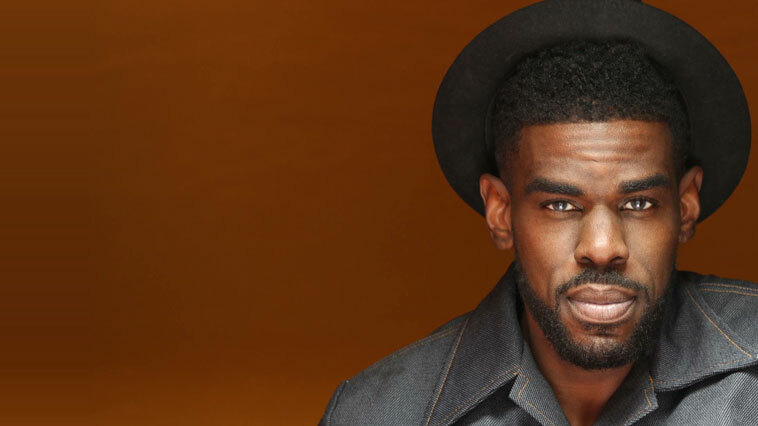 Mustafa Shakir: I did a mixture—still do, actually—of weight training, bikram or hot yoga, and some running and here there. With martial arts, I do kick drills and kata, which is essentially going over forms. It’s a version of shadow boxing. That’s the gist of the regimen, but there’s a lot of variation with the weightlifting and calisthenics mixed in between sets. The supervillain training montage. How did that change when you were getting in shape for the show? I just did a lot more cardio. When I went in, my first thought was that I wanted to match Luke in terms of brawn, you know what I mean? I thought that was the whole thing about being a formidable foe. But quickly I found out I was supposed to be doing capoeira and stuff like that, so I went in the other direction, just leaning out as much as possible. I bolstered the percentage of cardio versus weight training, and I kept the bikram to stay limber. Sometimes I would be up super early and do one morning workout and one in the middle of the day. There was also volume training, where I did one big workout and then three 15-minute joints. So basically he was training a lot. Shakir was training high volume. In multiple interviews he mentions training multiple times a day. I’m going to program you a full day of training that can be broken down into two workouts if needed. You’re also going to be training 5 days per week. You have off from the weights but not the activity level. Mustafa Shakir liked to utilize hot yoga, but also got big into MMA training. 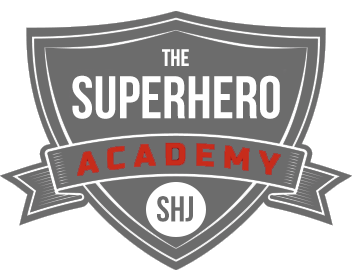 Join us in The Academy and train with Coach Derek’s MMA style routines, utilize our yoga videos, or even get out there and take some classes!